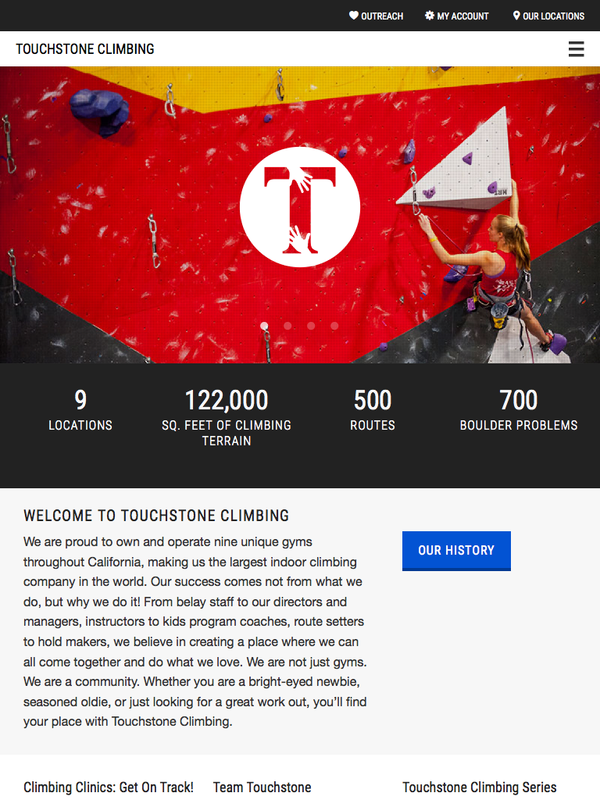 Sky1 worked with designer, Sylvia Aranda, and the Touchstone marketing team, to develop a custom responsive multi-website to accommodate over 10 indoor rock climbing gyms. 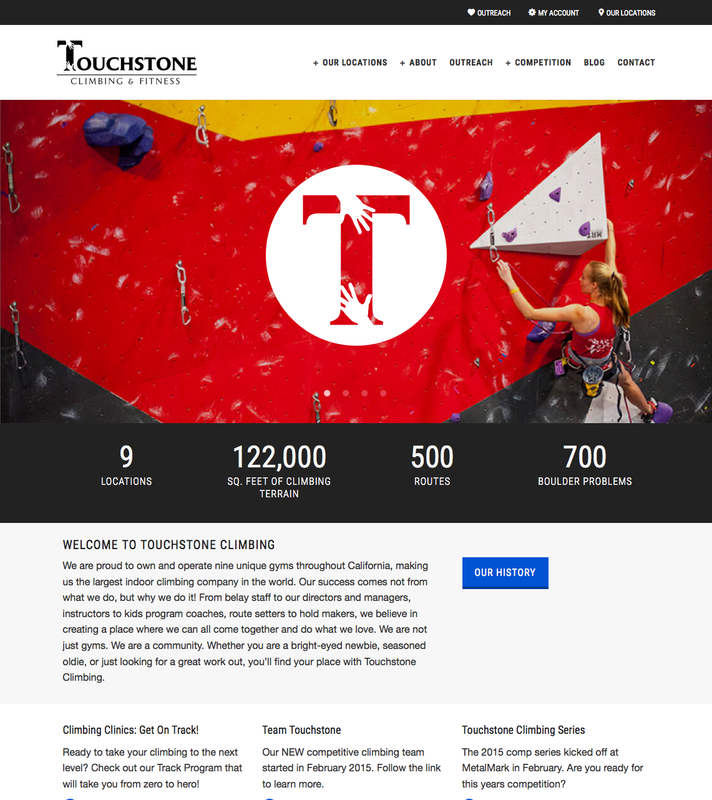 Touchstone Climbing is the largest and fastest growing indoor rock climbing company in the world. Sky1’s role in this project was to bring Sylvia Aranda’s vision to life and to meet the specific requirements of the Touchstone’s executive marketing and management staff. 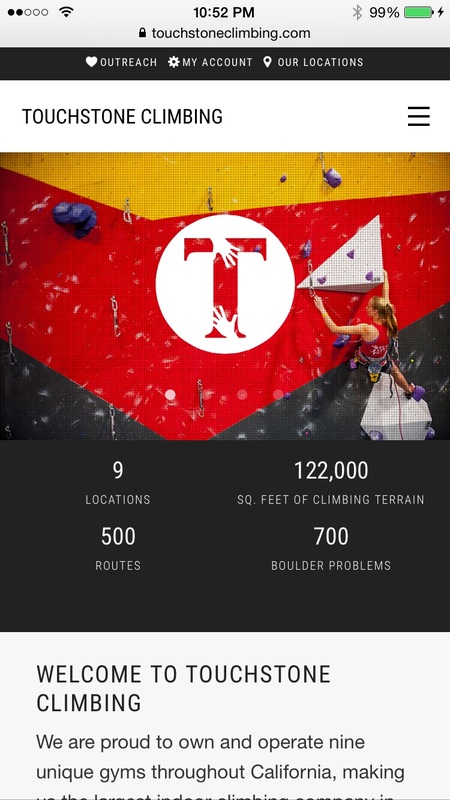 The website accommodates each gym’s calendar, gym routesetting updates, corporate blog, galleries, google maps, driving directions, content management, and custom roles and permissions for management staff.